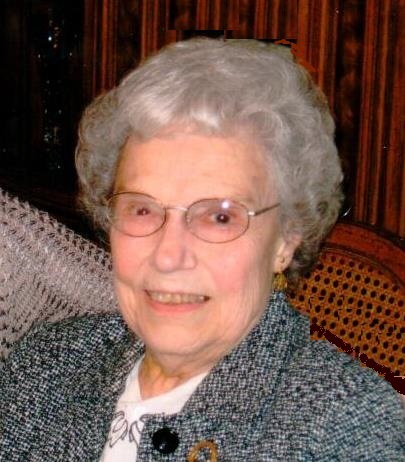 Obituary for Frances D. (Berry) Solenday | Laughlin Memorial Chapel, Inc.
Age 97, of Mt. Lebanon, on Tuesday January 22, 2019. Wife of the late Robert N. Solenday, Jr.,; daughter of the late Walter W. and Frances J. (Doern) Berry; mother of Linda Kaib (companion, Robert Baker) and Robert N. III (Carolyn); grandmother of Robert N. IV (Dorianne) and Jennifer Fife (Eric); great grandmother of Natalie Grace Fife; sister of the late Walter T. Berry; also survived by great nieces, a great nephew and cousins. Family was the important part of her life. Frances enjoyed the holidays, especially Thanksgiving because she felt it was truly a family holiday. Every birthday was also a time for celebration. Frances was a woman of deep unquestioning faith and ended every evening conversation with a reminder "to say your prayers." She loved to laugh and had a great sense of humor. She was fiercely independent and shoveled snow well into her 90's even though she was admonished when she did so. She was the foundation of our family. Family and friends will be received at Laughlin Cremation & Funeral Tributes 222 Washington Road Mt. Lebanon on Friday 2-4 & 6-8 PM. Mass of Christian Burial will be offered in St. Bernard Church on Saturday at 12 Noon. If desired, memorial contributions may be made to St. Bernard Church 311 Washington Road Pittsburgh, PA 15216.